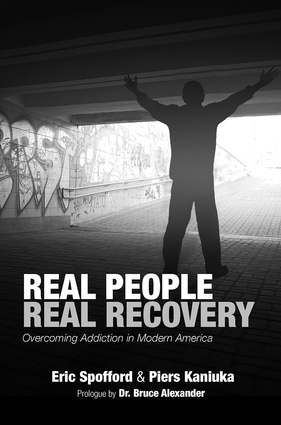 Eric Spofford, CEO of Granite Recovery Centers, is an expert in the fields of addiction and recovery. He's become a leading voice and advocate for abstinence-based treatment and recovery, has testified before the United States Senate, and is regularly quoted in the press about a variety of opioid- and addiction-related issues. Originally from Salem, N.H., he started using drugs in his early teens and became a heroin addict by age 15. He was in and out of treatment and had many run-ins with police before he got clean in 2006. Eric became a fixture in the local recovery community and started Granite Recovery Centers in 2008 when he opened The Granite House, an extended care program for men in Derry, NH. He has since opened several more facilities with a total of 280 beds for men and women and has grown Granite Recovery Centers into the largest substance abuse treatment network in New England. Eric has been featured in the Boston Globe, the Boston Herald, WMUR, and The Union Leader, among numerous other media outlets, and hosts the weekly podcast, "Real People. Real Recovery." He's also featured in the documentary, The Heroin Effect, which is about how the opioid epidemic has impacted New Hampshire. Piers Kaniuka is Director–Spiritual Life at Granite Recovery Centers. He has worked in the field of addiction for over twenty years and is an expert in how to best utilize holistic practices in the treatment of addiction. Piers is the former chair of the department of Transpersonal Psychology at Burlington College and is a core faculty member in the Contemplative Spiritual Direction certificate program at the Alcyon Center in Seal Cove, Maine. He is also a co-founder of the Liberation Institute, a non-profit dedicated to training incarcerated men and women to become yoga instructors. Piers has Master's degrees in Theological Studies (Bangor Theological Seminary) and Counseling Psychology (Antioch University, New England). He is also a certified yoga instructor.